A cool thing happened on my run last night. 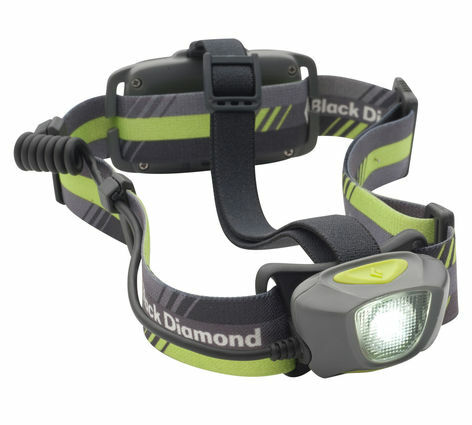 I am the proud owner of a Black Diamond Sprinter Headlamp that I purchased for Ragnar Tennessee last year. These are great lights, with a ton of features. The battery pack (and therefore the weight) is actually on the back of your head for balance, and there is also a red “blinky” light back there. The front lamp is small but powerful, and also dimmable. And the whole thing is rechargeable, so doesn’t require batteries. I use it regularly, and since the Ragnar I have recharged it once, maybe twice. It is an awesome light. So, last night I was doing one of my regular routes at about 9pm and I could feel a car behind me slow down and begin to pace me. This brings with it a whole host of worries and thoughts. While I generally don’t have to worry about violence in my running area, there are always idiots and I was about half braced for a bottle or something to hit me on the back. But I kept going, and sure enough, the car (a white mini-van, it turned out) eased up beside me. Instead of a bottle or battery or something upside the head, though, I got a surprise. Man with hat: Drives off. Random, I know, but this confirms something important – my light is performing its intended role. This is a good thing. 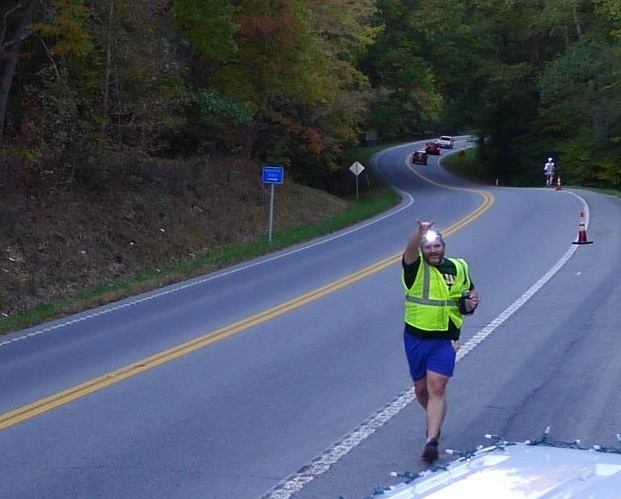 Also – if you run at night – wear a light. And preferably a blinky. Seriously – it could save your life. Lol I don’t think seeing a mini van would have made me feel any more relieved lol. It might as well of had a sign that read free candy lol. Glad it was just a friendly passerby.